BE A PART OF A WINNING TEAM? INFINITI OF BIRMINGHAM IS BUILDING A CHAMPIONSHIP TEAM. Our culture and desire to be the very best drives us! As a team we support each other; we work together to provide the best luxury retail experience for our customers and an incredible place to work for our employees. 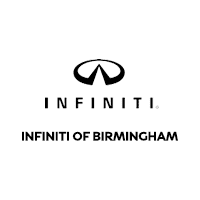 If you know you have what it takes be part of something special, the desire to be the very best at what you do, and the willingness to give maximum effort each and every day, then INFINITI of Birmingham is the place for you. INFINITI OF BIRMINGHAM IS AN EEOC EMPLOYER AND A DRUG-FREE WORKPLACE. The best benefits, including 401K, group medical/dental insurance, flexible schedules, paid training, paid vacation and personal time and more.